Obviously, we believe Sarkcess Music fans won’t be happy to read these revelations about their selfish leader but it’s the hardest piece of truth we are giving them. Every follower or fan of an artiste follows him or her based on reasons one way or the other, either as a source of inspiration or as a source of entertainment and what you can think of. Firstly, we will consider the kinds of people sakordie loves to see them around him. Sarkodie as an artiste moves with “overaged” Ghanaians. One would ask why we are saying this as it’s a Ghanaian proverb that “a child who washes his hands well, dines with elders”. But simply, Sarkodie’s decision to be around old men has a reason and that’s perhaps a clear indication to his greediness as it is being circulated on social media. Due to his selfishness, he neglects the youth in everything he does, where he will spend money to inspire them. He only involves the youths in places where he knows he will get some money into his empty bank account. 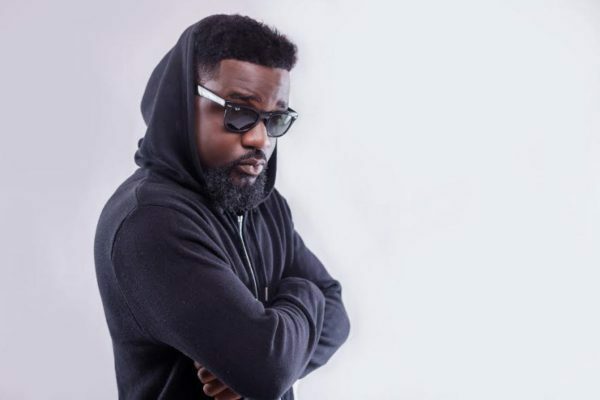 Sarkodie has disappointed his fans on many occasions especially when he secretly married his longtime girlfriend, Tracy Sarkcess without giving his fans who in one or the other made him who he is today an opportunity to attend. The disappointment did not end there, Sarkodie continued to disappoint his fans on his just celebrated birthday where he invited only “old men” to the party and snubbed his fans. Sarkodie once appeared in our headlines after he arrogantly disgraced a female fan by shunning her when she saw him and happily called out his name. Moreover, Sarkodie exhibited a character of ungratefulness when he refused to show gratitude to those who assisted him to escape his Konongo accident until social media bashed him to do so. Sarkodie is such a front-liner who has no good intentions, a leader who does not care about the well being of any of his followers. However, you don’t need to be told Sarkodie has no taste for anything made in Ghana. But if you don’t know about artistes who do not promote anything made here in Ghana, then today list Sarkodie as one of them because Sarkodie cannot be excluded. This has been one of the biggest problems we have seen about Sarkodie on many occasions, he has been promoting Nigerian music and Nigerian artiste over Ghanaian artistes. The same Sarkodie dissed and lambasted a fellow Ghanaian artiste, M.anifest whose style is to promote the things made Ghana. If the majority of you will not be blind to see what some of us are seeing and to say what we are saying then we will ask where did Shatta Wale go wrong for calling out such unwanted behaviour in a dimwitted, uneducated, arrogant, selfish, ungrateful and a self-claimed rap god?